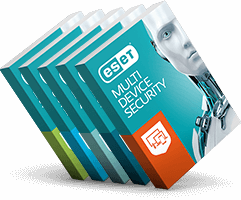 ESET, a global leader in cybersecurity, today launches a new online licensing management system to provide MSPs visibility into customer licenses, their usage and activated devices, allowing them to better serve their customers. The new ESET MSP Administrator (EMA) is another example of how ESET aims to provide seamless, non-disruptive and quick solutions to businesses’ cybersecurity needs. Within one aggregated dashboard – complete with drill down functionality – MSPs can now create multiple customers and license holders, and manage their specific settings. What’s more, as customers’ needs change, MSPs can rapidly upgrade or downgrade seat counts accordingly. Coupled with ESET’s daily billing-monthly invoicing model and aggregated volume pricing, ESET’s MSP Program provides the best experience and potential to increase their profit margins for MSPs. EMA, used in combination with ESET’s Direct Endpoint Management plugins - for RMM tools such as ConnectWise Automate, SolarWinds N-Central or Autotask AEM – or with ESET Security Management Center – offers MSPs an unparalleled user experience, while saving time on back office processes. EMA’s flexibility is also supported by integrated billing reports that enable the MSP administrators to manage billing information for each customer and estimate expected costs. For added convenience, EMA is designed for use on tablets and mobile devices for easy access, but remains secure by requiring two-step authentication for every user created. For further information on ESET MSP Administrator, the latest ESET plugins for MSPs and other resources related to the ESET MSP program click here.